As the name suggests, all you really have to do is mix all the ingredients together and throw them in the oven. 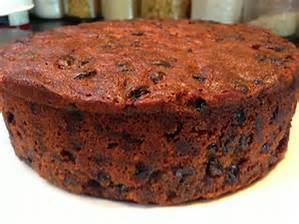 It could not be easier and if you have never made a fruit cake before then do it now. Afterwards, all you need is a nice cup of tea to accompany the cake! Heat the oven to 180'C or Gas mark 4. Line and grease a 20 cm round cake tin. Mix the flour, mixed spices and cinnamon in a large bowl, add the butter and rub in with your fingertips until the mixture looks like breadcrumbs. 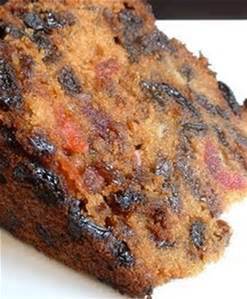 Stir in the sugar, currants and glace cherries. Whisk the egg and milk together, add to the fruit mixture and beat thoroughly. Pour the mixture into the cake tin and bake in the oven for 1 to 1.5 hours. Leave for a few minutes and then turn out on to a wire rack or plate to cool.